Hey guys, cleaning up my closet. 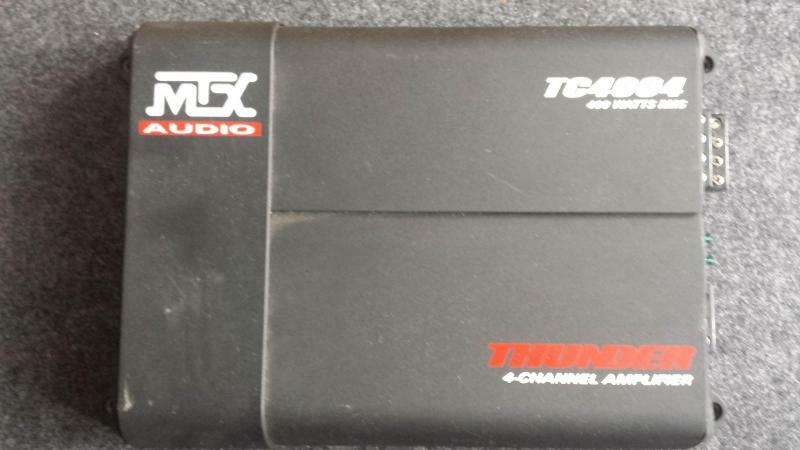 Up for sale is MTX Thunder TC4004 4-channel Amplifier 400W RMS (1200W max). 4 ohms Bridged: 200 watts x 2 chan. Never had any issues. 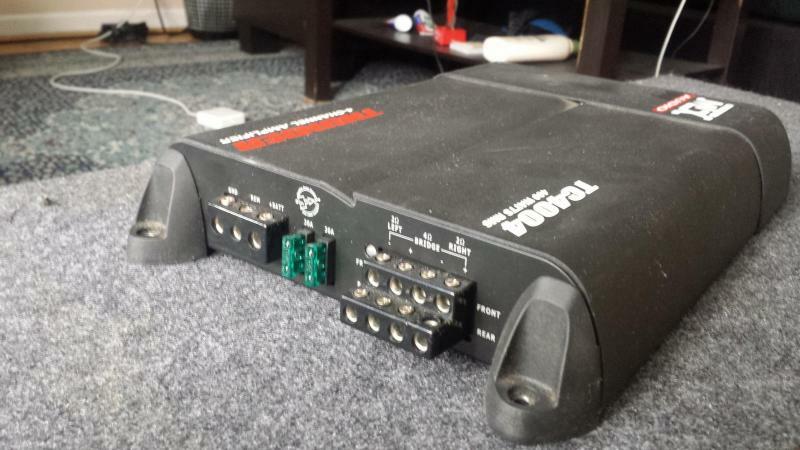 Looking to sell this for $180 or best offer. 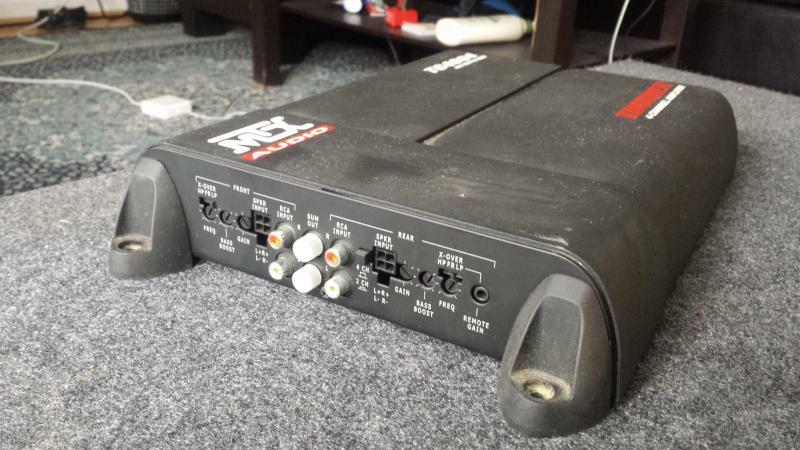 I will also take trades for a larger 4 channel amp that is around 100watt/channel. Cash will be adjusted accordingly. Pick up/Meet up in Scarborough/Downtown. Call/txt at 647 838 2946. Thanks ! 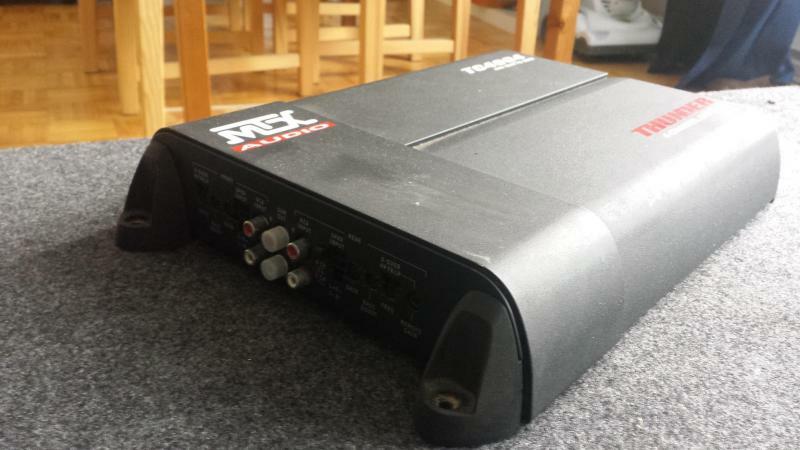 - Looking to trade with another high end 4 channel amp that is around 100 watt rms / channel. Price drop. Asking $120 for quick sale.